The everything-about-concrete.com newsletter, special announcement!! See the details at the end of the newsletter!! Would you like to learn how to do this? My name is Mike Day, I own this website and also a concrete construction business, Day's Concrete Floors, Inc.
We've been really busy lately pouring concrete floors and slabs, stamping concrete, staining concrete, and repairing concrete. I know you're interested in learning about concrete and the skills required to successfully install it. 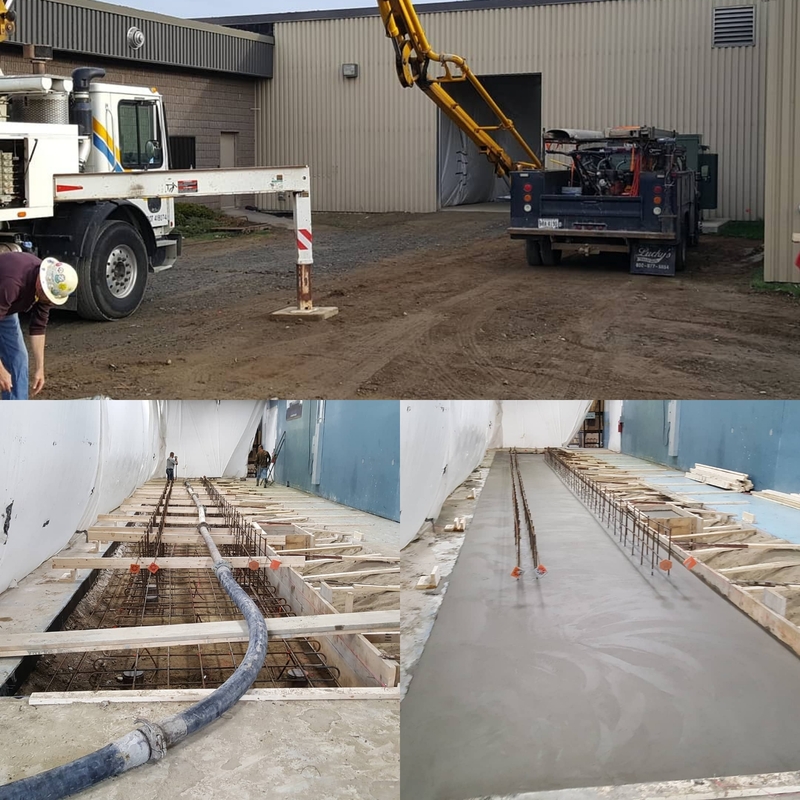 Below is a base pad for a new paper machine we pumped into this building. It was 40 yards of 4000psi concrete mix. 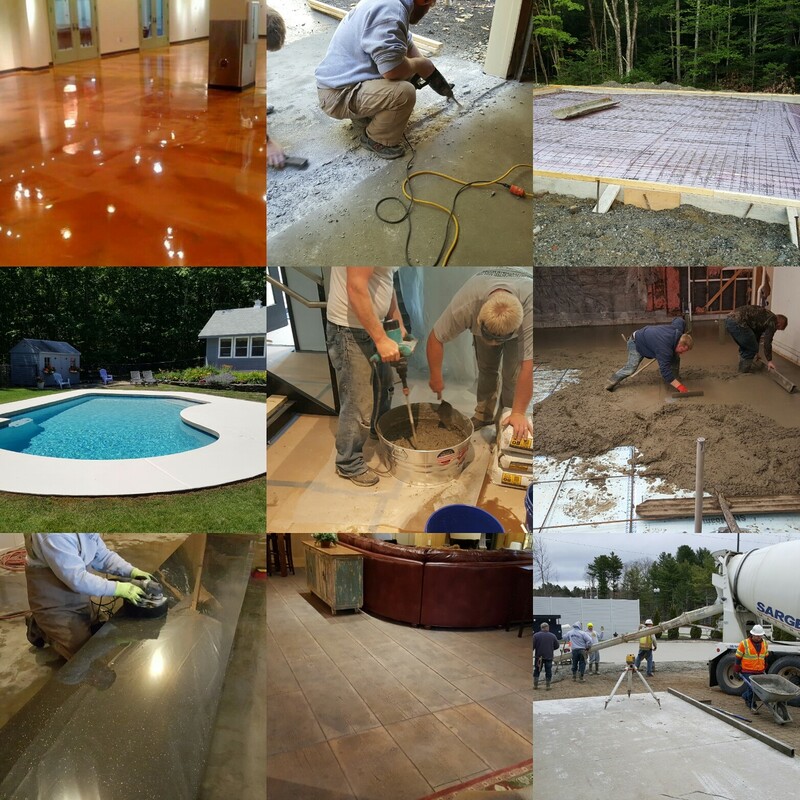 My company, Day's Concrete Floors, Inc pours and finishes concrete almost every day. 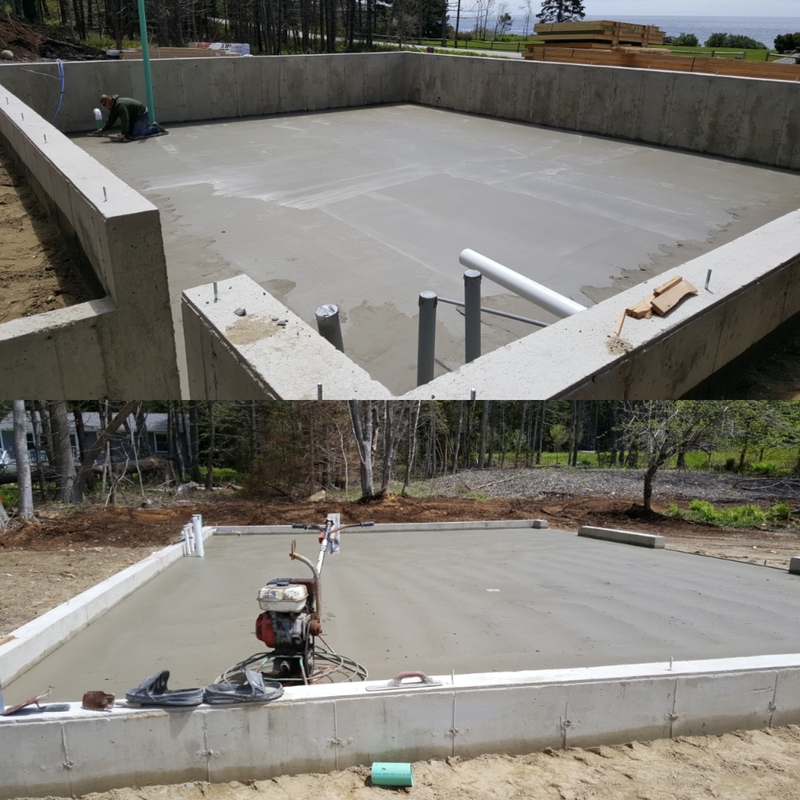 In the picture above, we poured and are in the process of finishing a house and garage concrete floors. Some times we finish parts of the floor by hand and sometimes we use power trowels. Both require good knowledge of how concrete reacts in different weather conditions and the skills to do each method. We also pour a lot of colored and stamped concrete. Stamping concrete takes a special set of skills. It's easy for things to go wrong if you don't know what you're doing. When the process goes as planned, you can make some beautiful looking concrete. 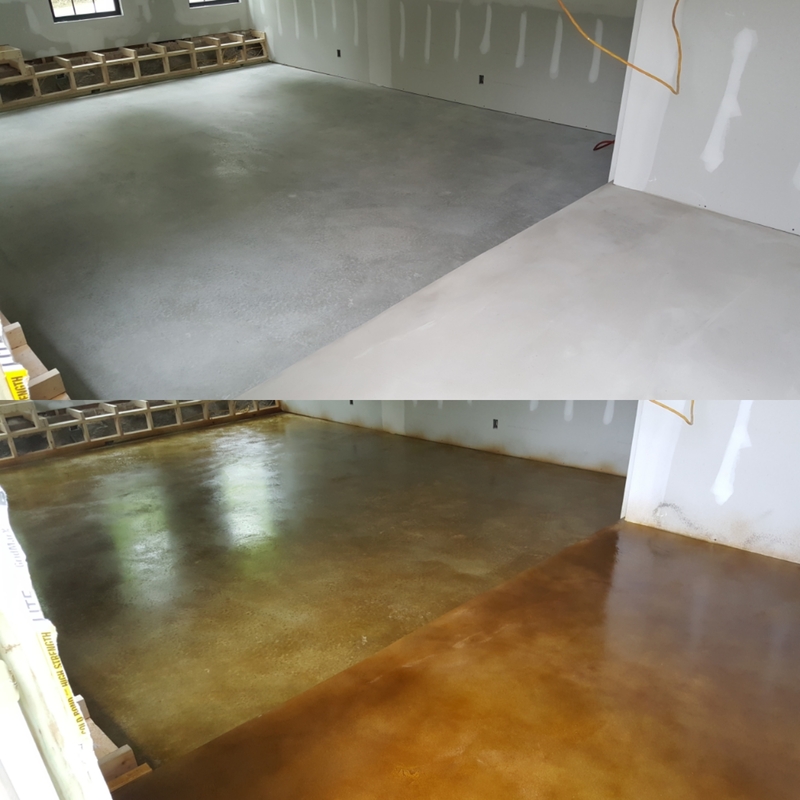 We stained these concrete floors using a concrete dye and sealed them with an acrylic solvent base concrete sealer. Staining concrete is an inexpensive way of making plain concrete look decorative. There is some preparation you need to do to the concrete before staining. We like to lightly grind the concrete to open the "pores" so the stain will bond properly. Sealing is a must for protecting it. If you need help with concrete, anything to do with concrete, I'll do my best to help you. I've been working with it for 38 years. Mixing concrete from raw materials. Just to name a few. If you interested in learning about a certain type of concrete project, just let me know. What would you most like to learn about? Let me know. Just reply to this email. My private membership (The Concrete Skilz Academy) is coming along and will be open soon. In this membership, you will have access to these video courses, PDF guides, live weekly Q & A with me, A private forum connect with others like yourself, I will also be in the forum on a regular basis for you to ask questions. Also, a private facebook group for live broadcasts and comments. The fee for the private membership will be $47.00 U.S. per month for the first 50 founding members. After that the price will go up to $97.00 per month for others. If you want to be one of the first 50 founding members let me know by replying to this email. One of the top benefits of this membership will be having access to me on a regular basis to ask questions and help you in any way I can. My goal with this private membership is to teach you (with my experience and knowledge) what you want to learn about. 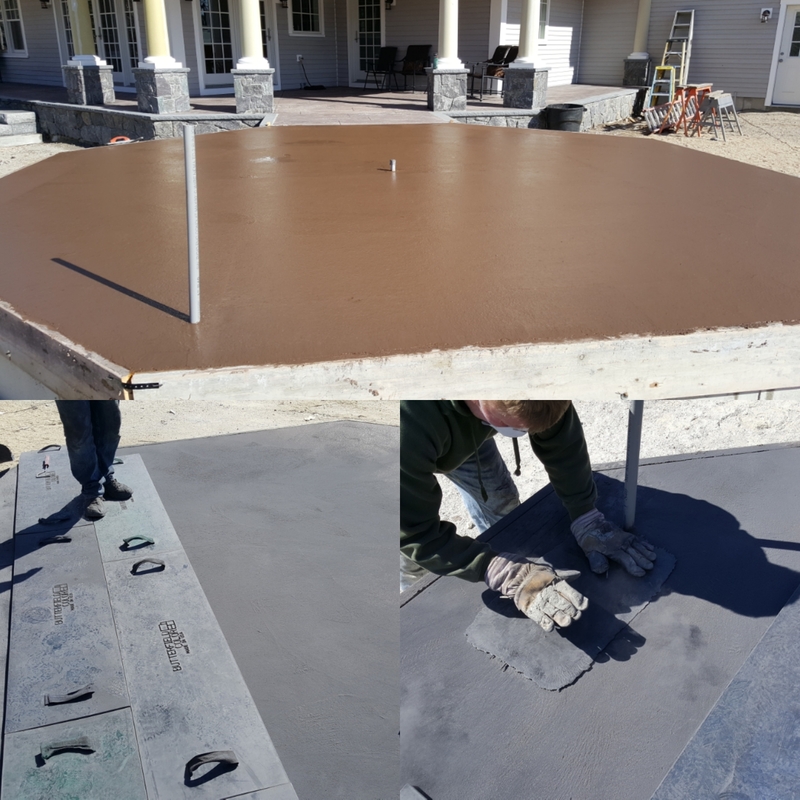 By looking at the pictures above and visiting my website Day's Concrete Floors you can see the kinds of concrete projects we do on a daily basis. If you'd like to learn how to do concrete to start your own business, I can help you with that also. Well, that's it for now. I hope you enjoyed the information. Let me know what you think. Let me know what you want to learn more about.